Is it anymore feasible to strike a work-life balance? Are we focusing too much on “Terrorism” and Not enough on the causes? 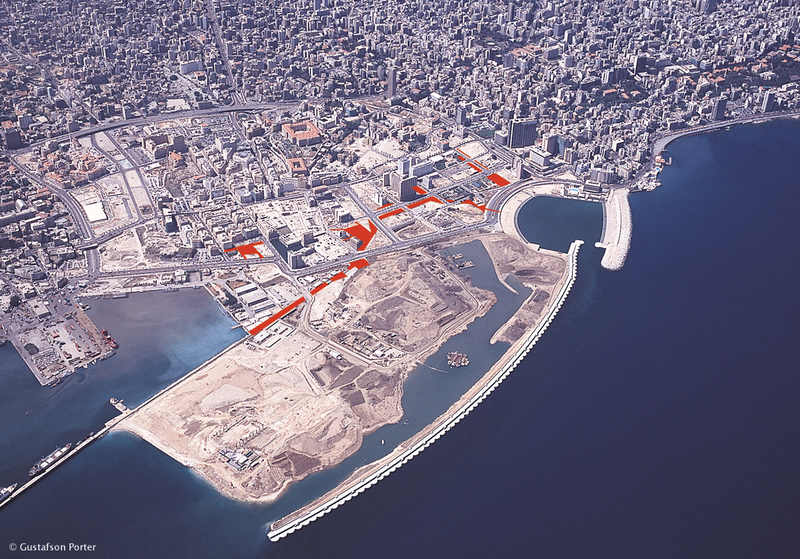 One of the great things about the internet is that there is just so much floating around out there–like all the plans for Beirut that seemed to have magically disappeared. 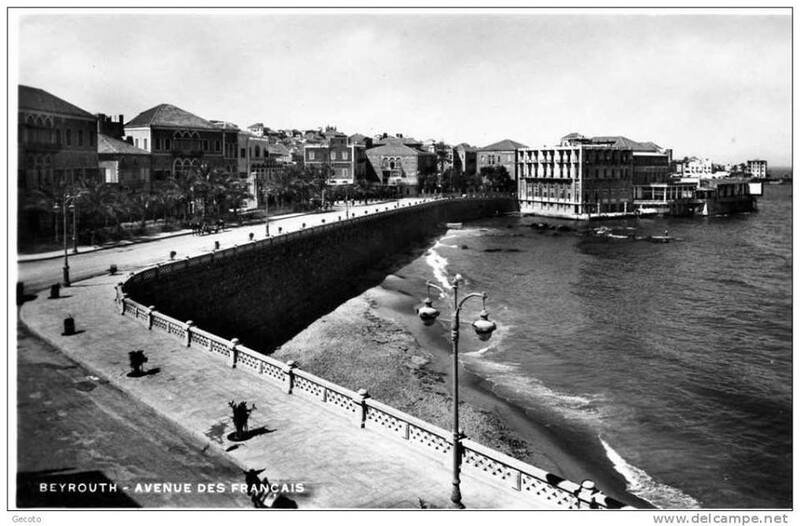 Today’s seaside esplanade or corniche is an extension of this historic Avenue. But the bay was filled in with garbage during the Lebanese war and according to Solidere (the private firm of Rafic Hariri holding that was created to rebuild central Beirut) the original coastline was “lost” and the plan was to use the garbage dump as a landfill and further extend the shoreline, thus creating hundreds of thousands more square meters of real estate property in the process. For now, we won’t get into the controversy of how Solidere was formed and who profits from it (I’ve written about that extensively here and here). Instead, let’s look at one of the many promises it made to the public to build green and publicly accessible space as part of its rebuilding narrative. 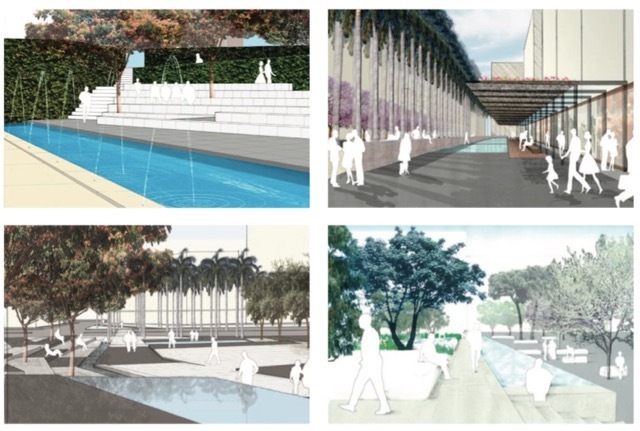 One of these projects is called Shoreline Walk, a series of interlinking gardens retracing the original coastal outline of the city as seen in the top photo of the Avenue. It’s marked below by red lines. The project was designed 14 years ago in 2002 and expected to be completed by 2010 at a cost of 5 million GBP (around $7.2 million) according to a company presentation. So where is it now? I’ve been living in Lebanon for most of my life and I’ve never seen or heard of it. Conceived 14 years ago, it’s due date is nearly six years past, and beyond a few shrubs and a short row of sidewalk trees, the area remains largely baren and off limits to the public. 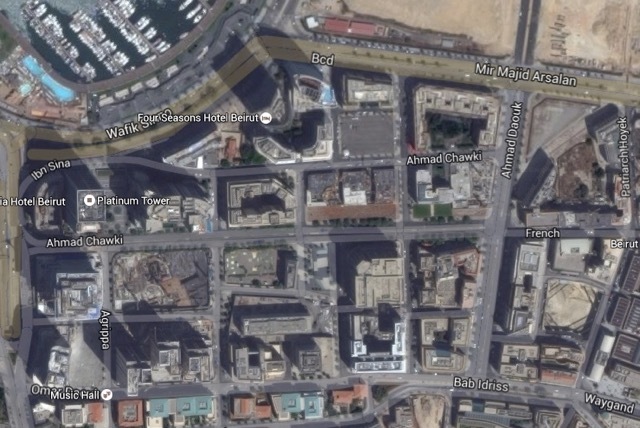 The only garden that is completed is Zaytouneh Square, on the lower left. On the other hand, the company seems to have had no trouble fulfilling its promise to construct blocks of high end towers for sale, with very few undeveloped plots remaining. 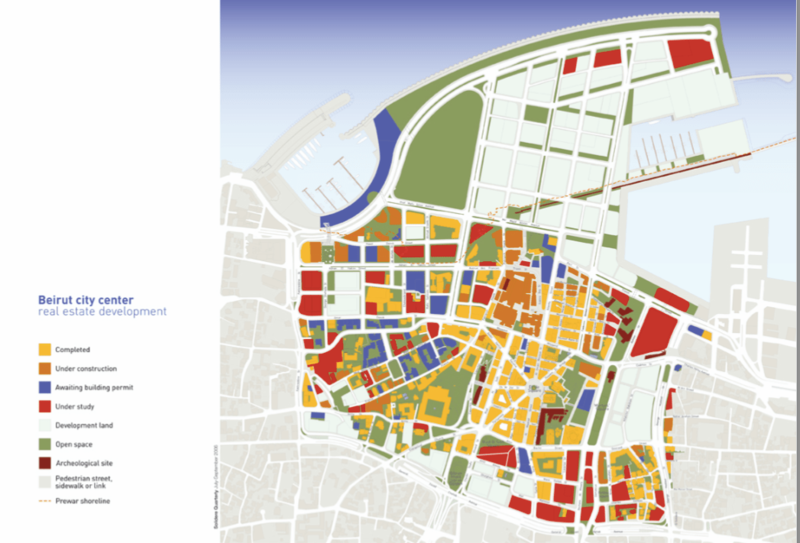 Yet Solidere’s green map is often touted in presentations and interviews with the press. 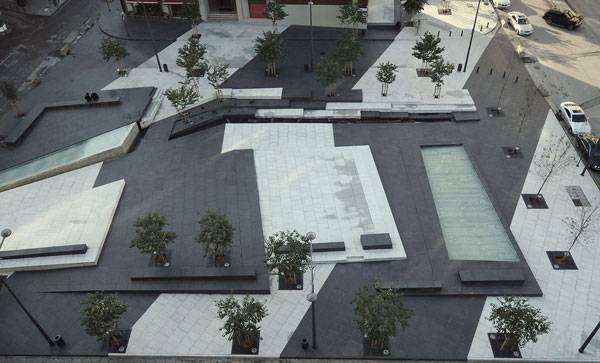 Soldiere’s urban planner recently told design students at a university conference that the city center contains “60 parks and public spaces.” Many students were probably left wondering where these are, as the presentation did not specify if these were existing or planned projects. In fact, Solidere has plenty of parks and public projects on paper. 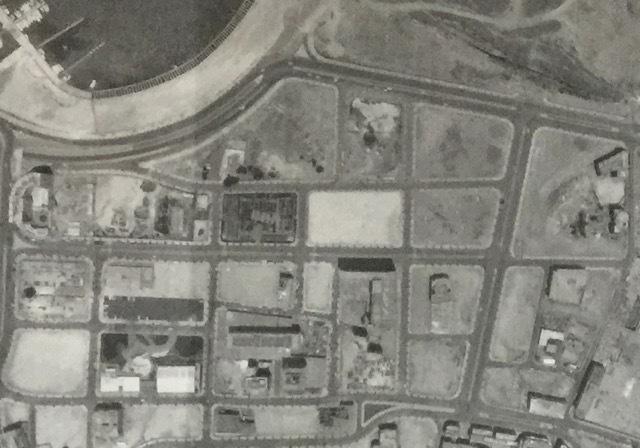 These include a range of archeological gardens, museums, fountain pools, even a large “central park” on the reclaimed new waterfront as seen above in the company map. But 22 years after Solidere began excavations in 1994, few of these spaces have materialized. 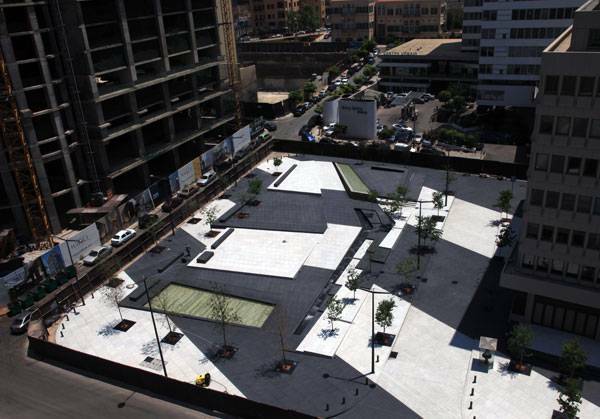 And as seen by the example of the tiled Zaytouneh Square, the spaces that have been built often take the shape of sterile expanses with little seating that feel more like modern art to compliment private properties around them rather than inviting spaces for the general public to enjoy. But is that even the goal? Would the general public, most of whom are poor, be invited to mingle amongst the high security multi-million dollar apartments and luxury shops of the city center? Personally, I have never seen more than a handful of people loitering around the area and many of them tend to be private security. But will this change when the other “gardens” are completed? Will they be more green than this? Although the magazine article was published last year, curiously it makes no reference to the 14 years that have passed since Shoreline Walk was announced, neither does it ask any questions about when it will be ready. Soldiere’s web page on the Shoreline Walk also provides no explanation for the delay or any revised completion dates. Perhaps the firm will say that political turmoil has hurt progress. 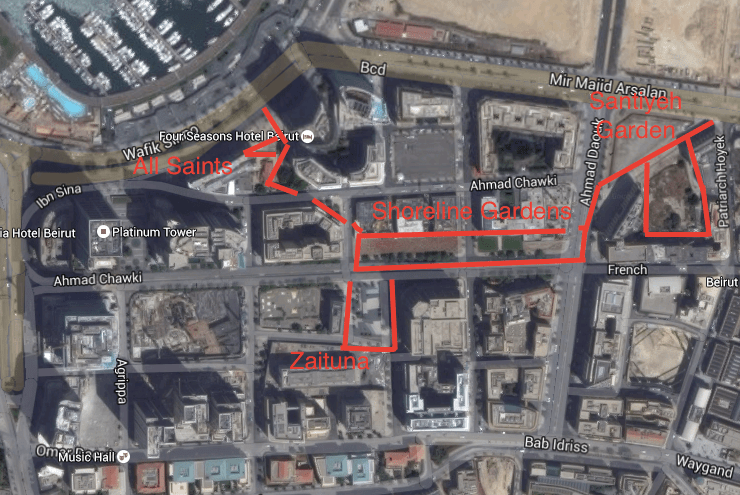 Yet why has the same political turmoil not affected the completion of residential towers, sprawling condominiums with hanging gardens, a yacht marina and high end seafront shopping center (Zaitunay Bay) that have all been completed over the last decade? Are glass and steel towers easier to build than minimalist landscaped gardens? Or does the $8 billion firm prioritize real estate gains for its investors over public space for the community? Perhaps someone out there has the answer.